There are millions of people around the world who go hungry every day, so ABC food packing is helping families around the world meet their most basic necessity, food. 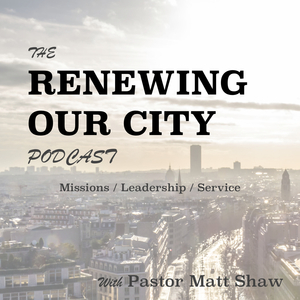 Lifeline Christian Mission’s Matt Collins and Greg Murphy-Dillow, sit down with me to discuss how they are sharing Jesus by first meeting the needs of the community. They use churches and groups in the United States to package food packs to curb world hunger. Question: “What is the best way you have found to get your whole family involved in ministry?” You can leave a comment by clicking here. Lifeline Christian Mission started by feeding kids in Haiti. The first years they packed a few thousand meals. With the support of churches around the United States, today ABC food has packed over 5 million meals during the last few years. Their goal is to give the familes a meal that is both nutritious and taste good. ABC’s foodpacks provide 70% of a child’s daily nutrition and one pack can feed a family of six. Lifeline educates the families receiving the meals on nutrition and preparation of the food to help them feed their families, but they also share about Jesus throughout the whole process. ABC food goes into churches, organizations, and groups by hosting food packing events. They set up an assembly line to work together as a team to pack the food. If you are interested in hosting an event, you can email Matt Collins or go to this page and fill out the form. The post Episode 7 : Matt Collins & Greg Murphy-Dillow on ABC Food Packing appeared first on Pastor Matt Shaw.